The focus of this edition is to stress some critical reflexions regarding security policies before and during Sport Events in our contemporary era or generalized insecurity. Sport competitions, at a national, European and global level, have evolved into major political concerns, economic investment, social importance and media coverage. 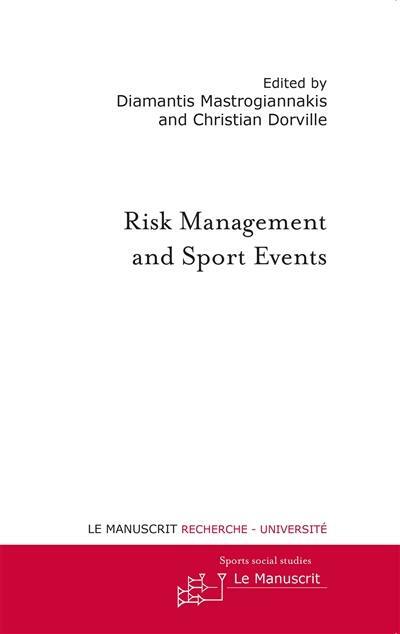 The dominant question regarding their organization in our postmodern, neoliberal risk societies is the creation of a safe and secure milieu ; the need to construct an environment of life where sport events and the multiple activities and interests related to them can be kept safe from any risk and potentially harmful occurrence. In the name of security, anticipatory dispositifs and risk management practices, rationalities and technologies of government have not exclusively attempted to prevent disastrous incidents or to maintain order in situ. Involving a set of heteronymous public and private organizations and bureaucratises, state « experts » and not state « security managers », proactive security strategies seek to envisage the future, to preempt, to act in advance, to anticipate possible catastrophic incidents by managing populations and spaces in order to set, to assure, at any cost, the ideal conditions. The aim of this work is to highlight the complex set of legal provisions, surveillance and policing practices, discourses, bureaucratic procedures and spatial and architectural forms underpinning the security governance of sport events and their effects in the contemporary era of widespread uncertainty.